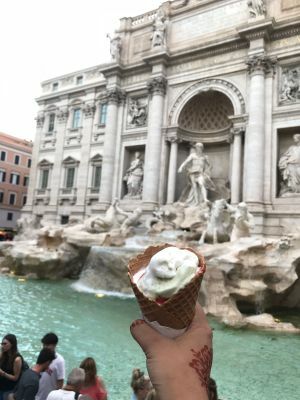 This is my first blog post about our first day in Italy. 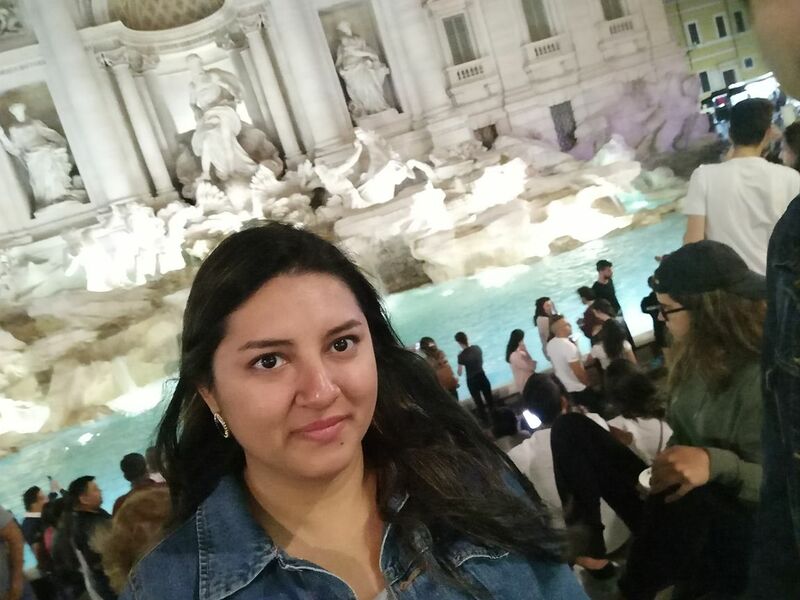 After the hassle of getting there (we missed our connecting flight from Frankfurt to Rome due to added airport security screenings and bad airport organization), we finally touched down in Rome, Italy! Having arranged for the hotel to send a car to pick us up, the driver was waiting for us at the front of the airport with a little placard with Imran’s name on it. He was not the only one – there were probably 50-70 other drivers waiting to pick people up in that small area. Trying to find the one with your name can be a challenge to say the least. Thankfully ours was standing a ways away from the crowd so Imran spotted him quickly and off we were to our hotel in Rome. The minute I stepped out of the airport area and we started driving on Roman highways, I knew we were in a different part of the world. Stone pine trees line the roads, rising high above the city, looking down and providing shade to the people of this region. They are absolutely beautiful among the backdrop of ancient ruins, shaped almost like dark green umbrellas. 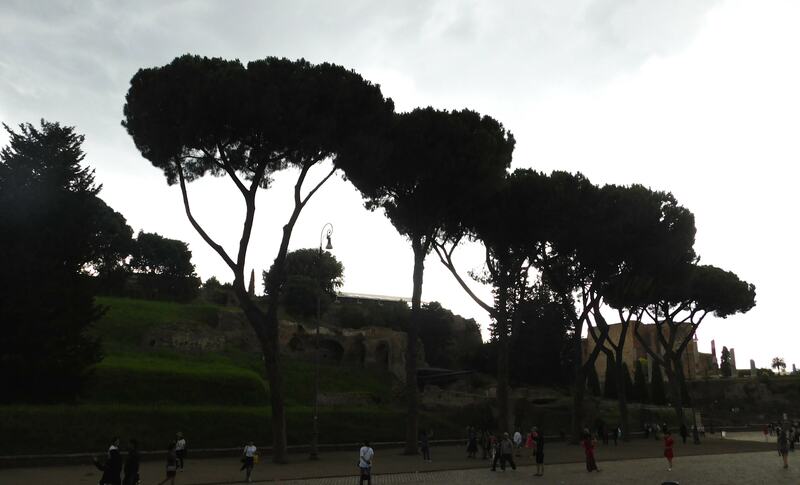 It was in this moment of me staring out the car window, looking at these trees foreign to me, that I fell in love with Rome. 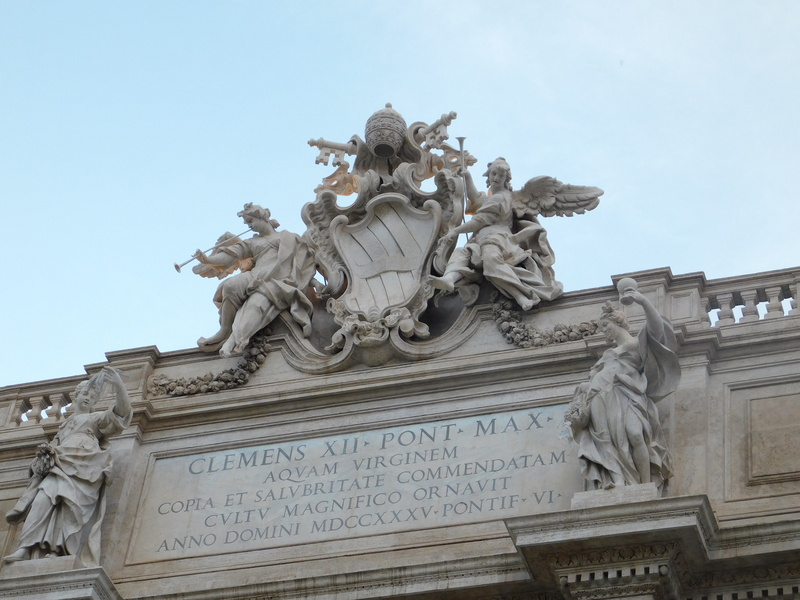 We got to our hotel, rested up for a couple of hours, and headed out to explore Rome. Being close to Termini, we bought a bunch of subway tickets so we could travel easily without having to keep purchasing them. 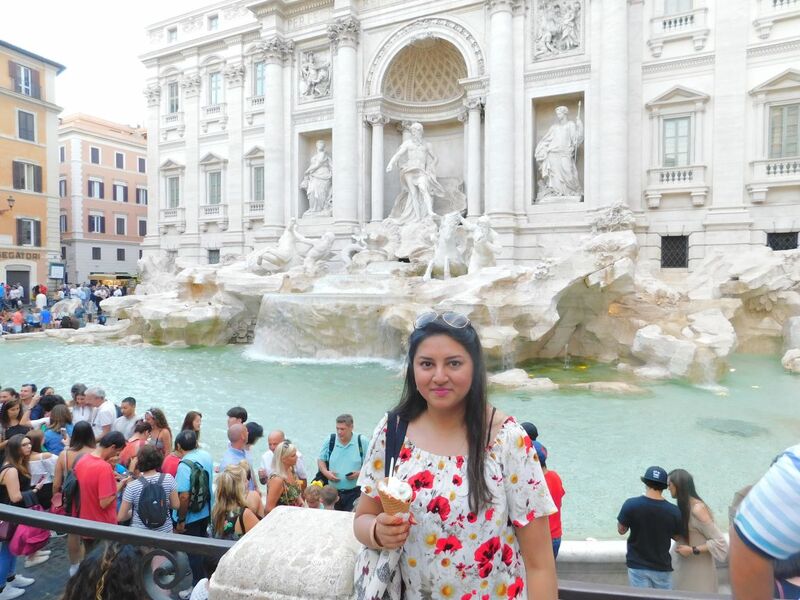 We hopped on the subway and got off at the Trevi Fountain stop. You have to walk quite a bit form the stop to where the fountain actually is, little signs guiding you along the way. It’s not easy the first time but eventually you start hearing the water flowing and it almost sounds like you are nearing a big waterfall in the middle of the city. Making our way through narrow streets, we started coming to shops that seemed more touristy, and stopped for our first (of many!) 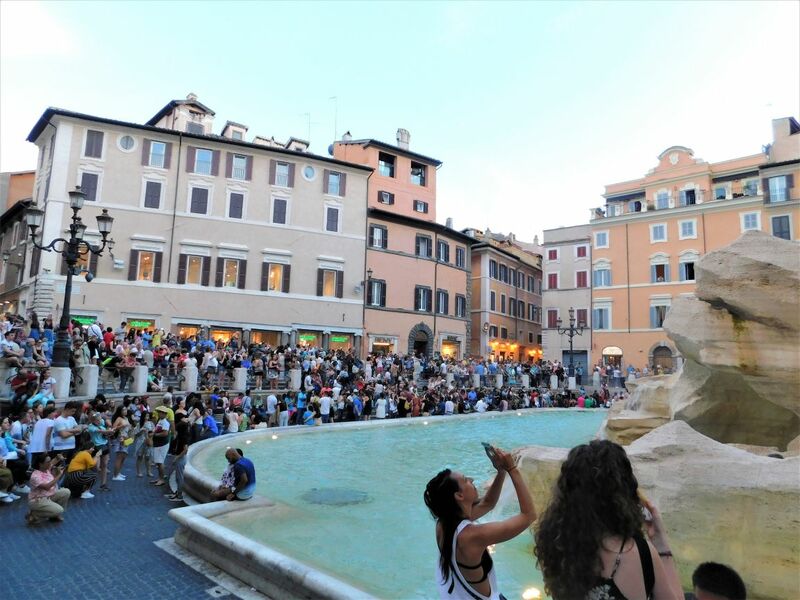 gelato shops in Italy, before following the sound of the water to the fountain. 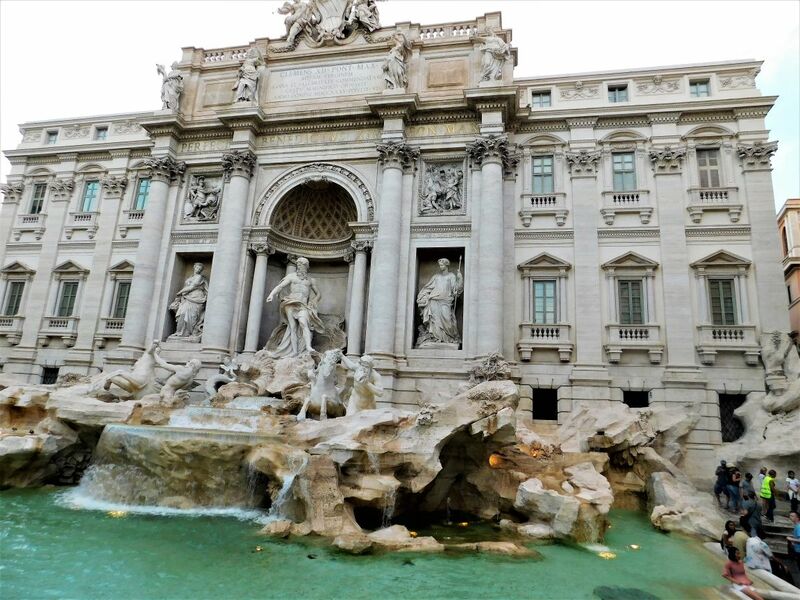 Trevi really sneaks up on you – it’s not built in a large square like much of everything else in Rome. It’s in the middle of bigger buildings and is the front façade of a building itself. When you come to it you notice the 100s of people all sitting or standing in front of it, taking pictures or just enjoying the beauty of the fountain. We visited both during the day time and nighttime and it is magnificent both times. The people never stop coming and going. Even when we went around 11 pm at night, there were flocks of people just like our earlier visit around 7 pm. 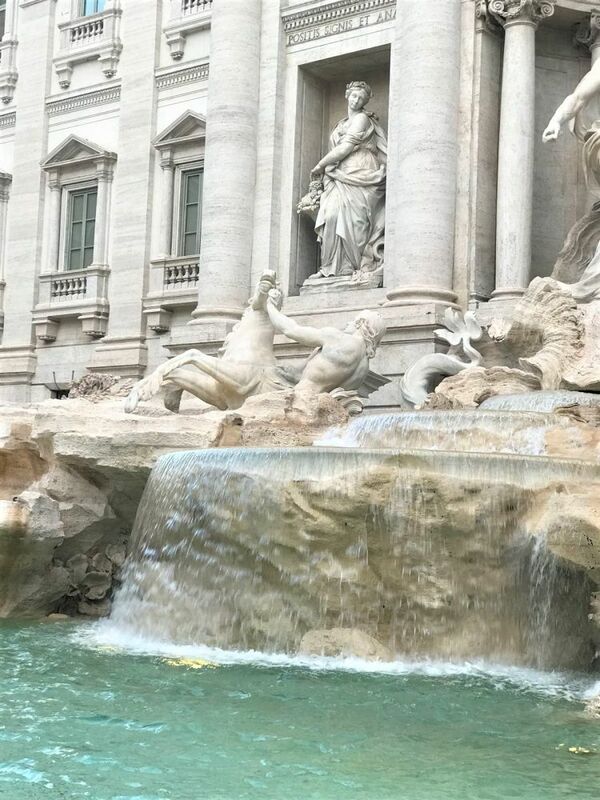 The beauty is not only in the creation of the fountain’s sculptures itself but also in the blue water falling into the fountain. It is a serene blue in a city made of bricks – this might be why it’s so eye catching and still popular to this day. 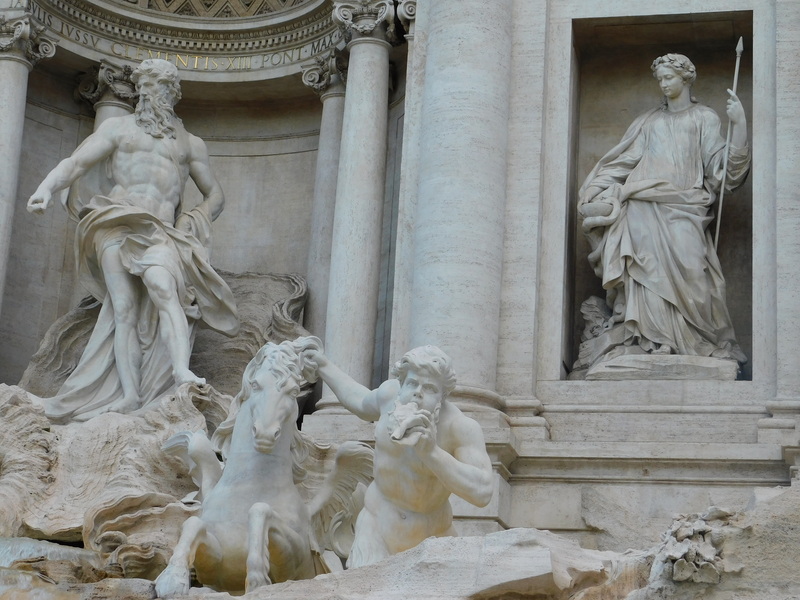 We both tossed in a coin, making the wish to come back to Rome someday before sitting down to enjoy the glitz and glamour of the fountain. 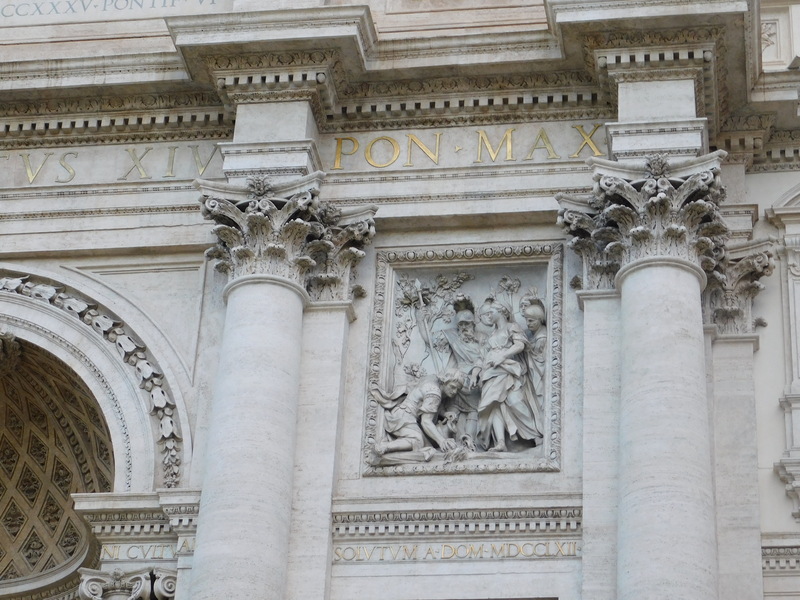 Loved how you described Rome. You definitely have a knack for writing! Looking forward to more posts. Thanks Nadia! So glad you enjoyed it 🙂 Can’t wait to continue writing more posts.